The ancient Taoist emulated the behavior of the Lake to practice achieving tranquility in disturbance. Regardless of the changes, we can make our heart like a lake to discover how the path opens before us. True Joy is experienced by those who are strong within and gentle without. I have received this gentle, water soft chiding, reminder from the oracle on more than a few occasions. As we absorb the lessons of the I Ching into our hearts, we absorb the lessons of the sage. Hexagram 58 teaches us to come into possession of joy. In our search for success and happiness we are are prone to think we must take aggressive actions to achieve them. The instruction of the I Ching is just the opposite: only those who practice innocence, acceptance, and detachment inherit true joy in this World. I am a fixer and people- pleaser by birth. When confronted with a problem, big or small, my first thought is to jump right in without thinking and try to apply a solution. Most of my problems today are the result of this reflexive thinking and subsequent action. Think how you feel when you are confronted with a peer’s outward appearance of success while you may not be doing, on the surface, quite as well? Does the ego tempt you to take on airs and assume a persona of outward accomplishment in spite of experience to the contrary? Have you been there? Life lessons. One need only think of how Facebook has created so much “comparison” depression. Remember your friends and family rarely, if ever, post pictures of their down moments (snapshot of an argument between spouses). The sage counsels us to take a different approach. The I Ching teaches us again and again that joy and success cannot be forced or stolen. They are achieved gradually-but steadily-by those who relate correctly to others and to the Higher self within. To relate correctly means to steadfastly practice innocence, detachment, acceptance, modesty and gentleness. Life is full of shortcut options, but this gradual way is the only route that leads to true joy. What is the ego response when a large or small problem triggers the reflexive response? Ego wants us to jump in and solve the problem with quick action, words or great deeds, right? What is the Taoist response when it comes to reflexive response? Breathe in, exhale……Act only after contemplative discernment. Last night I read the first few chapters of Richard Wilhelm’s translation of the Secret of the Golden Flower T’ai I Chin Hua Tsung Chih . The Secret of the Golden Flower recommends a disciplined, routine practice of meditation, including Prana breathing techniques, towards realizing primordial spirit. Take a moment or an eon to read either the Wilhelm or Thomas Cleary’s translation of this ancient text. Secret of Golden Flower also describes a method of approaching life with mindfulness, avoiding reflexive response. When you find yourself in the midst of turmoil don’t act capriciously and create even more havoc. Observe yourself interacting with others, especially those you have difficulty with. Practice taking a moment before speaking and catch your immediate response for something more measured and innocent. Attempt to see the Buddha (innocent) nature in even the most negative people. You may be surprised by the outcome. One more important reminder is to take a moment each day, call it a stolen moment, for yourself. Use this moment to find refuge inside. Recite a prayer or mantra (see Guru Rinpoche mantra below). So many external forces assaulting us each day that we must take this time (stolen moment) for ourselves. Try a simple recitation. “Divine Source replace all negative thoughts with your love and light”. In the super busy worlds we occupy these days lessons from our forebears resonate even more. Guru Rinpoche (Lotus Born-Padmasambava) foretold of future in Tibet, China, Mongolia and elsewhere that would be fraught with warfare, chaos and anxiety prone individuals. Please read the full account on “The syllable by syllable commentary”. What is the remedy? Settle the mind. 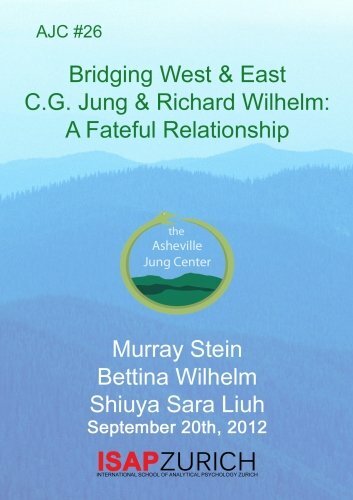 Finally the buried lead in my heading today, The Wilhelm story, as related to his dear friend and colleague Carl G. Jung. This story is based on an event experienced by Richard Wilhelm, the first significant translator of the I Ching.